As the Sacrificial Lamb for Humanity, Jesus Christ showed us the Divine Laws of Love. Now He leads His Lambs. When you take on a spiritual walk or path, you realize that there are limitations to the human logic that exists, and that spirituality brings you to truths that are beyond what human logic can provide. Truth follows along this wavelength, and this is why truth of any form, withstands the sands of time, and perpetuates despite the earthly circumstances surrounding it. The extraordinary feature of humanity is that God, the Father of Creation, (Devum, Jehovah, Yahweh) had given it the sense of freewill. Freewill is what separates human beings from the animal and plant Kingdoms, as well as the angels and demons. It is this freewill, which comes through the soul of a human being, that feels truth. So, how does a soul feel truth through freewill. It is through this soul, that we, as human beings, have a direct link to God, the Father of Creation (Devum, Jehovah, Yahweh). It is through the freewill of the soul, that we are given the CHOICE to choose to live and follow the path to the Eternal Kingdom of God, the Father of Creation through His Divine Laws of Love. Once sin was introduced into Mankind, in the Garden of Eden through Satan, every human being was born as sinner, because our nature is that we are attracted and distracted by the sinful human nature, that was birthed on that day, when Adam and Eve rebelled against God, when Satan gave them the option to question God, in the Garden of Eden. As Satan was once Lucifer, at one time being God’s, (Devum, Jehovah, Yahweh) high ranking angels, he knew how to perfectly tweak God’s Words, to fit his agenda in bringing Mankind away from from the Eternal Kingdom to which he no longer can enter. It is from this point to which Satan forces his ways on mankind, while God gives us the choice. God wants us to seek out His Eternal Truth, in order to enter His Eternal Kingdom, through the Divine Laws of Love, which are ways of Nonviolence, Unconditional Love, and Mercy. This is why Jesus Christ said, that the gateway to heaven is through a narrow gate, and the gateway to hell is through the wider path. Very few, that truly seek out the Eternal Kingdom and its ways will feel the truth through the souls that God, the Father of Creation (Devum, Jehovah, Yahweh) had given all of Mankind, at the time of conception while we are in our mother’s wombs. We were made in His Image, while God, breathed life into us, in our mother’s wombs. Truth is felt. When Jesus Christ (Yeshuay, Yeshu Christu, Yeshua) died on the Cross, at Calvary, He reestablished this pathway for the soul to have a direct connection back with God, the Father of Creation (Devum, Jehovah, Yahweh). But again God, gives the choice to choose to follow the majority through the wider gateway, or to follow the minority, through the narrow gate. Satan made the wider gateway full of earthly pleasures and temporary moments of happiness, which appears to come with such ease in comparison to the narrow gate that goes against the grain of the ways of this world, to which God, the Father of Creation states that His Ways are not a part of, but follow the Divine Laws of Love. All truth comes from God, the Father of Creation. Once the soul has been reconnected back to God, the Father of Creation, human beings have the freewill to choose to tap into that direct link to God, the Father of Creation. Truth is felt. At the Cross, while Jesus Christ (Yeshua, Yeshuay, Yeshu Christu) hung alongside the 2 criminals for their deaths, remember, one criminal made it to paradise through their undying belief, in the truth he saw in Jesus Christ, on his dying last breaths, in his last hours…minutes on this earth. This is the beauty of God, the Father of Creation’s Love for Mankind. He gave His Son, Jesus Christ, as the sacrificial lamb, to take on the punishment that was meant for Humanity based on their sinful human nature, to give us protection, and one final chance to come back to Him. 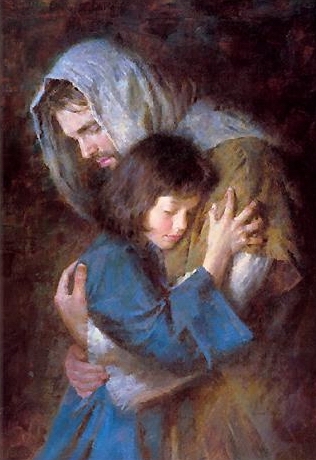 He gives us till the very last breaths in our earthly bodies, to find our way back to Him, in order to reconnect with Him, in His Eternal Kingdom, through the Divine Laws of Love. Truth is felt. Once a soul has reconnected back to God, the Father of Creation, by way of Jesus Christ (who showed us the earthly ways and teachings as to how to reconnect back with God, the Father), His Divine Laws of Love, as well as the ways of Jesus Christ will become so deeply engrained within such a soul….that it will AUTOMATICALLY feel God’s Eternal truth, and discern the deception that Satan and his demonic spirits try to push through his realm (the earth) through the earthly parameters that they try to force upon Mankind. God wants true seekers and believers. Through His Son, Jesus Christ (Yeshua, Yeshu Christy, Yeshuay) God, the Father understands the earthly trials and tribulations that we, as Mankind faces through such evil devices. However, it is also through His Son, that God, the Father showed us how to overcome such vices, and to become victorious over them. The Holy Spirit leads those souls that are connected to God, the Father of Creation (Devum, Jehovah, Yahweh) away from the lies of evil, and towards the truth of Divinity. That truth is the gut feeling through which the Holy Spirit puts within such souls. We are commanded by Jesus Christ (Yeshua, Yeshu Christu, Yeshuay), and convicted by the power of the Holy Spirit….that a soul feels the truth of the Divine Laws of Love, towards the Eternal Kingdom, where God, the Father of Creation (Devum, Yahweh, Jehovah) awaits for us. The pleasures of such a soul are things that are spiritual….not carnal or earthly, as evil would like to distracts humans to believe. Truth is felt. It is through this freewill of the soul to chose to find the spiritual path towards the Divine Laws of Love, that truth is felt. This truth is undeniable. It makes evil hate such souls…which is what brings forth the trials and tribulations of such people who possess such souls. They seem poor in the earthly sense…even weak in the earthly sense, or even niave or foolish in the earthly sense. That is because such souls have found the power of Divinity and its ways which follow the Divine Laws of Love. They felt the truth through such ways, and know that Satan’s ways and his time are temporary; while God and His ways are forever and permanent. Such a soul that has felt the truth of Divinity, will know no other way to live, but to follow the Divine Laws of Love, and view the ways of this world the way that God, the Father of Creation, views them, through the Divine Truth that He reveals through such souls. Truth is felt, and it will discern the deception of evil. Souls will only achieve this through an investment of the soul, and a relationship with Divinity; not just being religious and following things that look good in the earthly sense. This entry was posted in Thoughts and tagged "feeling the Truth of God", Battling Evil, Certainty in the Divine Laws of Love, Devum, Discern the Deception, discern the deception of evil, discernment, Divine Truth, enduring trials, evil ways are temporary, Feel the Truth, Fight over souls (good vs. evil), FREEWILL, God's Promise, God's Truth, God's ways are permanent, Good vs. Evil, Guidance of Holy Spirit, Jehovah, Jesus and His Crucifixion, Jesus Christ, Path to Truth, Satan's deception, Spiritual Battles, Spiritual Death vs. Physical Death, Spiritual Discernment, Spiritual Journey, Steadfast Faith, Trials and Tribulations, Yahweh, Yeshu Christu, Yeshua, Yeshuay on October 26, 2018 by foodforthespiritualsoul. We are so quick to point out the flaws in others, yet do we see the flaws in ourselves? Often pride gets in the way of allowing us to see our own flaws. 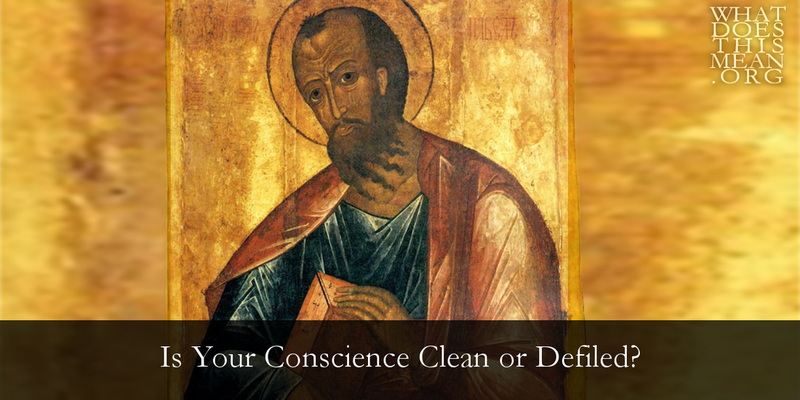 We are required to examine our conscience, in order to free ourselves from the shackles of evil. There is no compromise to this because evil will try to make its way, in any way it can, not only into your conscience, but also to take root in your soul, and grow like a weed, suffocating any light to which God, the Father of Creation, has seeded within. There is a constant refining of the soul that needs to be done, and it must become a daily routine for us to “clean out our closets”, so to speak. This is when the Holy Spirit can establish His Roots within us, and flourish through you, within this dark world, for the Eternal Kingdom. I have learned that even the past events that we THINK we have gotten over or resolved in our lives, could have possibly made deep wounds within ourselves, that can give a foothold to Satan and his demons to slowly rot away at your soul, without recognizing it, and laying it at the feet of Jesus Christ (Yeshu Christu, Yeshuay), who fights on our behalf, against against such things, is the only way we can COMPLETELY HEAL the deep wounds. We must remember that God, the Father of Creation (Devum, Yahweh, Jehovah) is pure love. What Jesus Christ did on the Cross at Calvary, as God in the flesh, was showing and becoming the purest form of unconditional love. So there is no room for any impurity within ourselves, when it comes to entering the Eternal Kingdom of Heaven. Because we are born with a sin stained human nature, which was conceived within Mankind at the time Adam and Eve decided to rebel against God’s command to them, by eating of the fruit from the Tree of Knowledge, it is REQUIRED that we continuously examine our conscience for what we do in our lives. Our thoughts….our actions….our words. We are to humble ourselves to a God, who sees all, as an Omnipresent Being, and recognize what we do in violation of His Divine Laws of Love. We are all guilty of something. While we see 10 of our own flaws, God sees 100 x 100 more. Jesus Christ, saw something worthy in Mankind, that was worth dying for, on the Cross at Calvary. Through the perfection that He was while He roamed on this earth, by dying on the Cross, He covered us through the Blood He shed on that day, from evil. We must remember that we, as Mankind, because of our sin stained human nature, are not worthy in being in the Presence of a Perfect God. Out of His Unconditional Love, He gives us the chance, everyday, to CHOOSE OUT OF OUR FREEWILL, to see Him in all. Otherwise, as being God, He could easily destroy all that directly violate His Divine Laws of Love, which are ways of Unconditional Love, Mercy, and Forgiveness. But all of this requires a humbling of ourselves…of ridding ourselves of any pride within…and to recognize when we ourselves are in direct violation of unconditional love. Examination of the conscience is not a one time deal….it is a lifelong process. It requires a changing of ourselves, to the original greatness that God, the Father of Creation, knew He created for us to be. We may realize this when we are young….or we may realize this, within our last breaths. Nonetheless, God judges based on a complete transformation of a heart and soul, to which He can only see as the Perfect Omnipresent Being that He is. It is nothing of the self….but being selfless in nature. Jesus Christ requires for us to love all, unconditionally. He requires us to not fellowship with evil at the same time. This not only includes physically not associated with evil; but also dissociate from the very things that evil has creeped in within ourselves, through past pains, hurt, and anger. He requires us to take a way that is beyond the ways of this world (to which God clearly says that His Divine Ways do not conform to the ways of a world that asks us to give in to our sin stained human nature; but are Divine in Nature, and conform to the ways of the Heavenly realm). We are asked to cover those very areas in our lives by the precious blood of Jesus Christ, so that evil will not take a foothold within ourselves of such things, to give birth to deep wounds to anchor itself to. We should change at the same time by humbly offering those things at the feet of God, to provide His Strength to overcome them with unconditional love; instead of giving in to our sin stained human nature to give rise to personal anger, pain, and vengeance. We must realize the Power of God’s Unconditional Love. We take for granted of being in His Presence at this moment…we take for granted that we are not guaranteed to wake up the next day, it is only God’s decision for us to be able to do so. While we are so busy on focusing on the preservation our outer physical bodies; we are allowing for our souls and inner bodies to rot away, to which is the ONLY thing allowed to pass on to Eternity, whether it be destined to be damned or to be blessed to the heavenly realm. 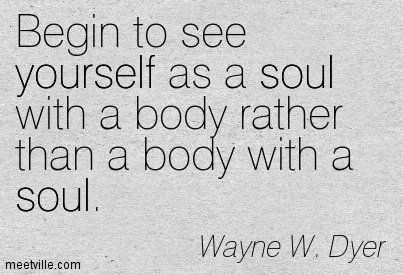 We are too busy nourishing the outer body…instead of “feeding the soul” within. This entry was posted in Thoughts and tagged "feeling the Truth of God", conditional love, Conscienceness, Devum, Divinity of Jesus Christ, Enlightenment (spiritual), Examination of the Conscience, God Endless Mercy, God Qualifies Those He Calls, God Ways do not conform to the World's Ways, God's Call, Guidance of the Holy Spirit, Guidance of the Life Teachings of Jesus Christ, Holy Spirit, Investment of the self, Jehovah, Jesus Christ the Ultimate Symbol of Unconditonal Love, Jesus Christ's Blood Covering of Protection, Jesus Christ's Trials, Leading of the Holy Spirit, Overcoming Trials through the Holy Spirit=God's Divine Tools for Ministry, SELF LOVE vs. SELFLESS LOVE, Spiritual Death vs. Physical Death, Spiritual Discernment, Spiritual Journey, spiritual weapons, Spiritually Fed, Unconditional Love, Yahweh, Yeshu Christu, Yeshuay on August 1, 2015 by foodforthespiritualsoul. Only things that are temporary, that come and go with the breeze. Making the end result permanent, it’s worth doing the math. Truth is only realized by very few… a population that is small. Many will want to give in to falsehood, due to the fear of being scarred. That will make the heart and mind worn down, building walls and tents. One can feel the Truth eminate from this person’s spirit. Take the “easy and pleasureable way…to get recognition in this world”, it says. For the fear of being beating, scarred and torched. And you will find yourself always on hallowed ground. It will all be worth it, despite your painful plight. Because Truth will be lost to this world, based on what evil temporarily lays. This entry was posted in Poems and tagged "feeling the Truth of God", Childlike Heart, Deception of Evil, Divine Truth, Evil can only imitate goodness, Evil's Wrath is Temporary, Fight over souls (good vs. evil), Good vs. Evil, Heartache, Pain, Path to Truth, Persecuted Heart, Purity of the heart, Seeking Truth, tortured soul, TRUTH, Truth is truth, Truth prevails, Truth will be known by few on July 7, 2014 by foodforthespiritualsoul. As human beings we constantly seek proof for truth to things. However, if God says He is not of the ways of this world; how can we apply earthly proof to His Truth? I think this is where Mankind “misses the boat”, when they claim Enlightenment. For those who are Divinely Enlightened by a God who is not of the ways of this world; they live by a means to which is not of the ways of this world; grounded in Unconditional Love,Nonviolence, and Forgiveness. When you have found such Enlightenment, you will see why the God that enlightened you sees no value in the physical things of this world. Think about it, He loved His Creations so much, as to give each thing He created, a soul….a beauty that is beyond our own human understanding….things that can not have a finite price. The very fact that Jesus Christ, as His Son, had to die for our sake, in order to have the choice of choosing a Path to Him to Heaven OR to follow the Path to Darkness, demonstrates the Priceless Nature of the Sacrifice that God knew He had to make, for His priceless creations. Anything else of this world, has a finite price: clothes, houses, cars, fame, accomplishments, etc. Coming back to the Title of this entry, “Feel the Truth”; as children, as I tell many people that I talk to when we sit down and talk about spirituality and faith, we are limited in life experiences. However, God gives children an innate defense mechanism: their “gut feeling”. What do I mean by this? Well, think about it, as adults, our reasoning, and even our way of thinking is heavily based on our life experiences. For children, their reasoning is limited for the reason of their lack of life experiences, for the most part (there are always exceptions). But a child knows what is right and wrong; in fact they take the task of making sure everyone is “telling the truth”, very seriously. Have you ever seen how a child reacts once they catch their parent or other adults saying a little fib or lie? They take great offense to such an act. Or what about how even a young baby reacts when they go to a stranger’s arms? They protest with crying at the top of their lungs. All these children know is that it feels wrong for such things, and protest to each act very seriously. I think this is what Jesus had meant in “having faith like a child”. They do not ever question what is told to them as truth; unless it does not feel right within themselves. Even in times of being harmed, and they are told be keep silent about it, they know that it doesn’t “feel right” within themselves. Our human senses can get manipulated, since it depends on the proof of this world to function. The 5 senses of the body are: seeing, hearing, smelling, tasting, and touching. Could you tell me, which one of these can not be manipulated? I can assure you, not only from my own personal life experiences; but also as well as with my education background, that it is not possible. And because of this, interpretations can vary; from things like favorite scents, and favorite foods, to what is pleasing and what is not pleasing to the eye. When it comes to feeling with the inner depths of a soul grounded in faith and spirituality in the Holy Spirit (that is not of this world), it can not be manipulated by anymeans. The things of this world can not touch to manipulate what God (who is not of the ways of this world) has put within you. This is why it is so important to develop a personal realationship with God. Evil will try to deceive you in everyway; only God (like when we were children) can help us to distinguish between HIS TRUTH and SATAN’S DECEPTION. And as the end of times close in, it will only be our faith in God that can help us to discern between the two. To the people bound to the world and its ways, they seem to overlook the fact that God’s Perfection can not be explained by our imperfect human logic. What we fail to realize is that it takes unbelieveable strength, beyond our own human understanding, to give into the Will of God. It means to give up all that makes sense to the earthly ways; and even to those who are bound to the Darkness that Satan has casted upon this earth,it will appear that by doing so we are making sacrifices and enduring suffering. But the reality is, to those giving in to the Will of God, they do not look at it as “suffering” or “sacrifice”. They look at it as, “This is what God has called for them to do; and that it is the right thing to do.” Their integrity is what is most important to them; because Jesus showed us that this is what God expects from us, through His Life Example. “Feel Truth”, is what Jesus has said. Because Evil will try any trick in the book to deceive you with the earthly means. And the only way to “feel Truth” is by growing strong in your faith and spirituality in a God whose ways and even rewards for your faithfulness to Him; are above and beyond the ways of this world…and measured only in the spiritual sense. Not the earthly sense. 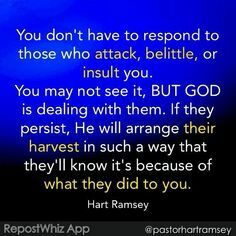 This entry was posted in Thoughts and tagged "feeling the Truth of God", Armor of God, Battling Evil, Christianity, discernment, enduring trials, Faith, God's Love, God's Promise, God's ways are permanent, Good vs. Evil, Jesus Christ, Satan's deception on January 30, 2011 by foodforthespiritualsoul.